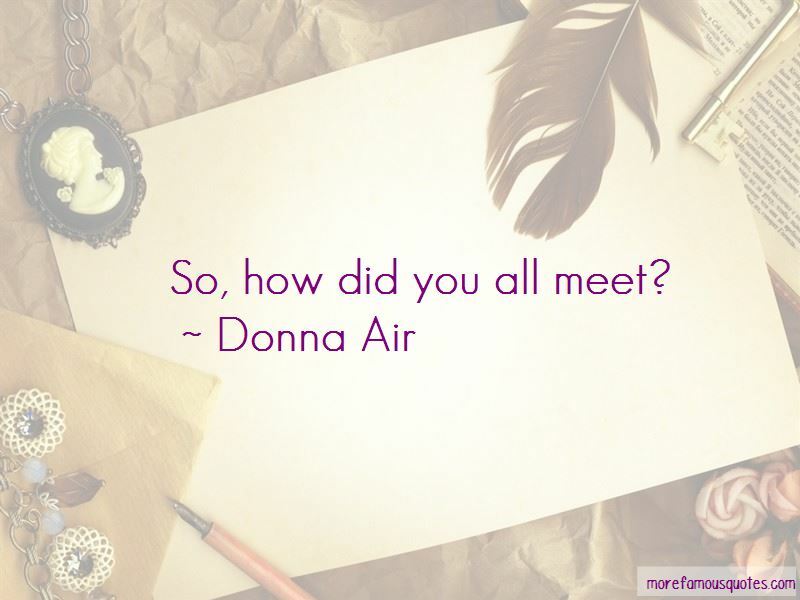 Enjoy the top 32 famous quotes, sayings and quotations by Donna Air. I find it very easy to love because I grew up in such a loving family. I like to experiment, and my life has been eventful. I was always in trouble for chatting. My school reports all used to say, 'Donna is a very bright girl, but she must stop talking in class.' In the end, I made a career out of it. When you work and earn money as a child, you need to be confident, but it can make you a bit precocious, and I think I was a bit of a pain for a while when I was young. My look is relaxed, and while I love fashion, I don't obsess about it. I don't have set rules when it comes to dressing, and I don't mind where my clothes are from. Some people think I can only do fancy; I don't know why. I'm a pretty easy person, really. Low maintenance. I get on with things, and I'm comfortable anywhere. I am a true 80s girl. I loved Kylie, Madonna, The Bangles and Human League. I fancied a couple of the Neighbours kids too and I loved Bros. God, I had terrible music taste. I'm getting a taste of my own medicine now, as my daughter's been asking for some quite scary albums. I think it's very hard if you love someone to walk away from a relationship that isn't healthy. The transitional period was tough, I won't kid you. 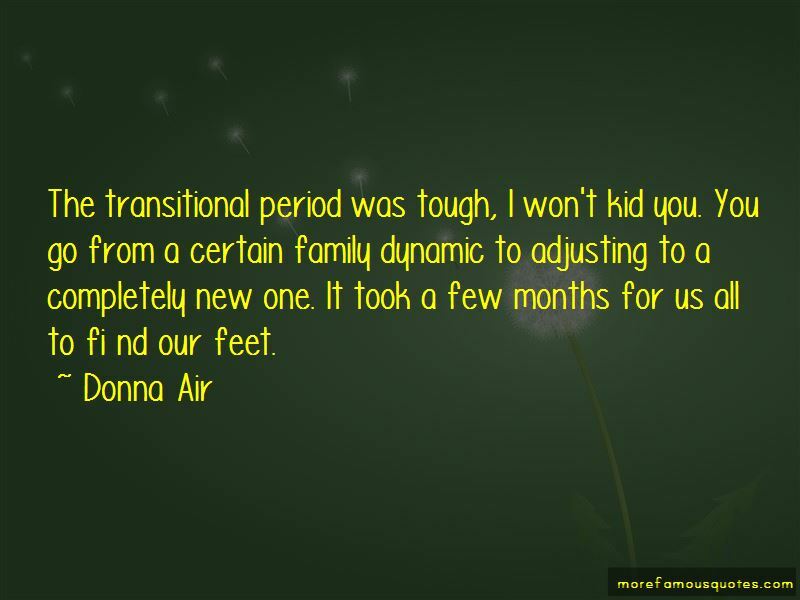 You go from a certain family dynamic to adjusting to a completely new one. It took a few months for us all to fi nd our feet. Want to see more pictures of Donna Air quotes? 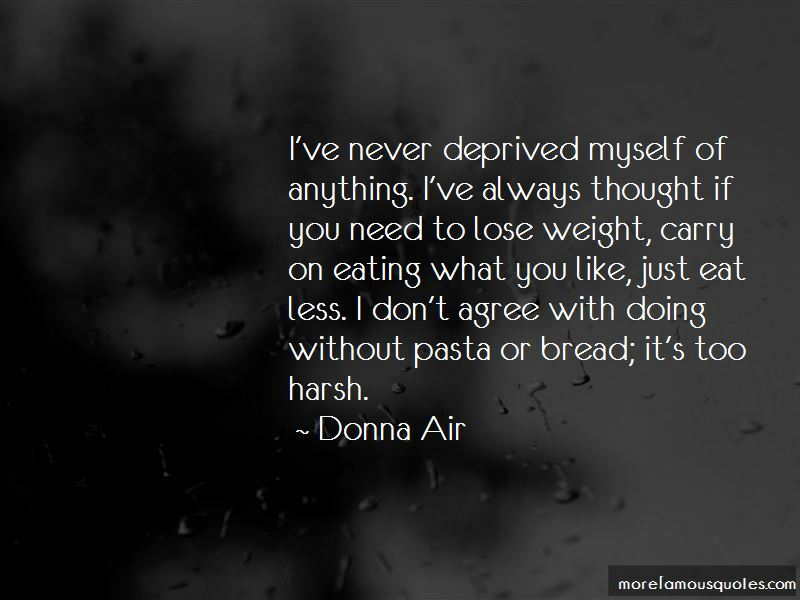 Click on image of Donna Air quotes to view full size.